Information Technology (IT) Tenders, computer software computer hardware, projects, tender notices, digest, procurement news, project information, proposals business opportunities, global tenders, international competitive bids, request for proposal, RFPs, RFQs from Greece. Description: Procurement Agreement For The Digiarc Act. 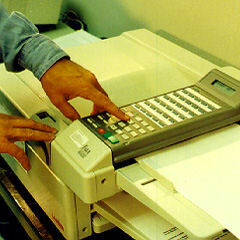 Description: Supply Of Identified Digital Certificates Using A Usb Token Device"
Description: Procurement Of Project Printing Systems"
ITTenders.com is one of the largest and most comprehensive source of International as well as national tenders, government tenders, public tenders, Proposals bids, RFPs, RFQs, contracts, upcoming projects information, procurement news business opportunities worldwide - related to Information Technology industry Telecommunication industry hardware industry software industry etc. IT Tenders Greece, Information Technology Tenders Greece, IT Projects proposals contracts bids tenders RFPs RFQs procurement business opportunities. Project tenders private tenders government tender notifications government tenders international tenders, tenders online.